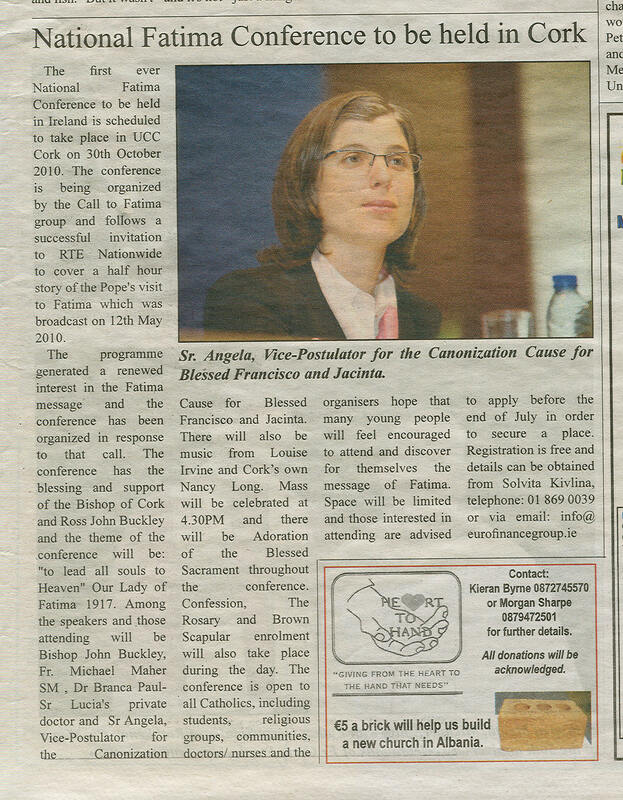 The first ever National Fatima Conference to be held in Ireland is scheduled to take place in UCC Cork on 30th October 2010. 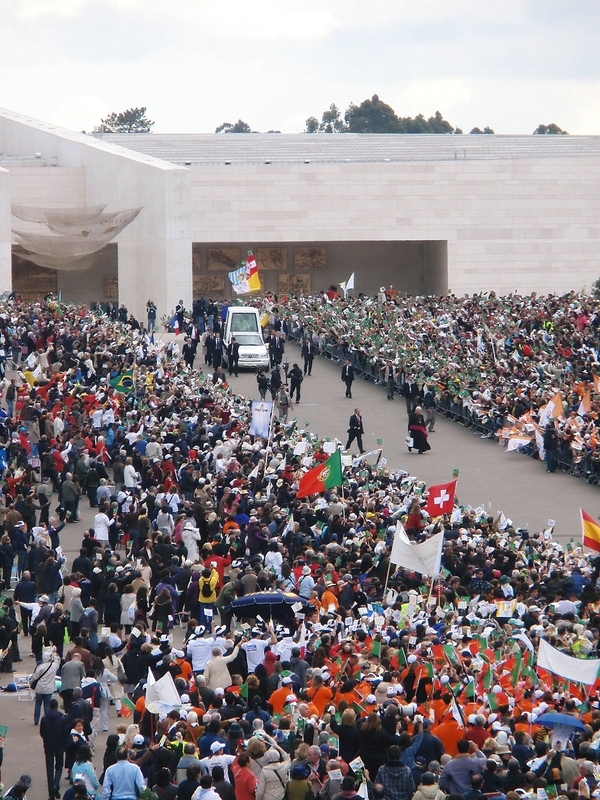 The conference is being organized by the Call to Fatima group and follows a successful invitation to RTE Nationwide to cover a half hour story of the Pope’s visit to Fatima which was broadcast on 12th May 2010. 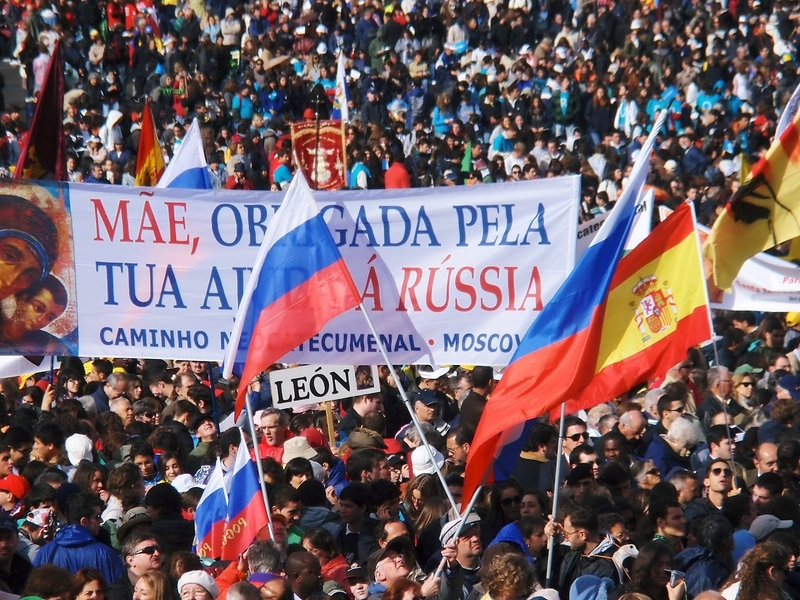 The programme generated a renewed interest in the Fatima message and the conference has been organized in response to that call. The conference has the blessing and support of the Bishop of Cork and Ross John Buckley and the theme of the conference will be: “to lead all souls to Heaven” Our Lady of Fatima 1917. Among the speakers and those attending will be Bishop John Buckley, Fr. Michael Maher SM , Dr Branca Paul- Sr Lucia’s private doctor and Sr Angela, Vice-Postulator for the Canonization Cause for Blessed Francisco and Jacinta. There will also be music from Louise Irvine and Cork’s own Nancy Long. 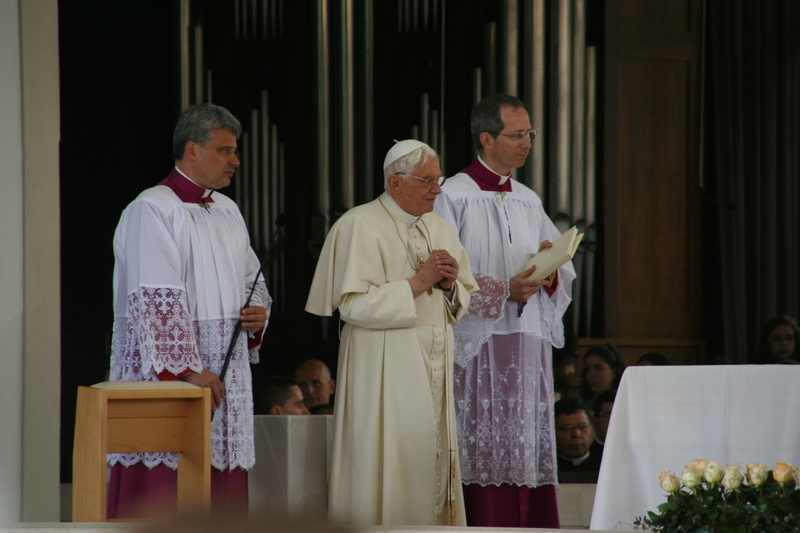 Mass will be celebrated at 4.30PM and there will be Adoration of the Blessed Sacrament throughout the conference. 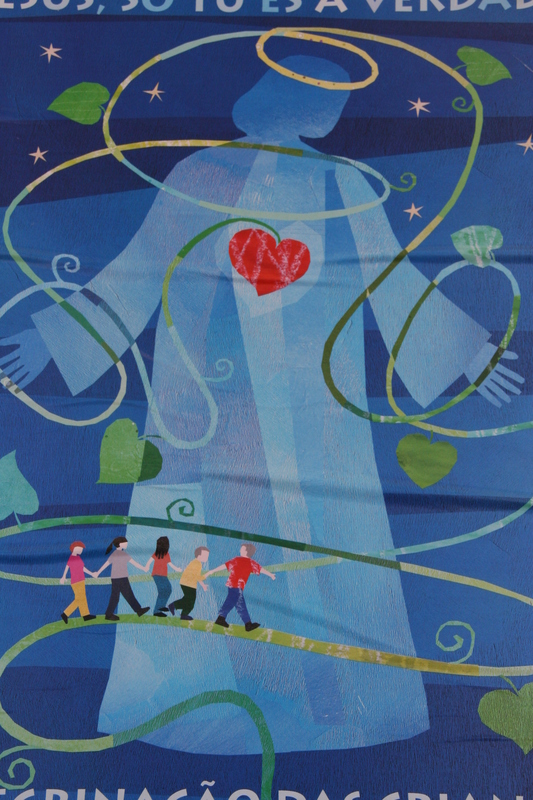 Confession, The Rosary and Brown Scapular enrolment will also take place during the day. 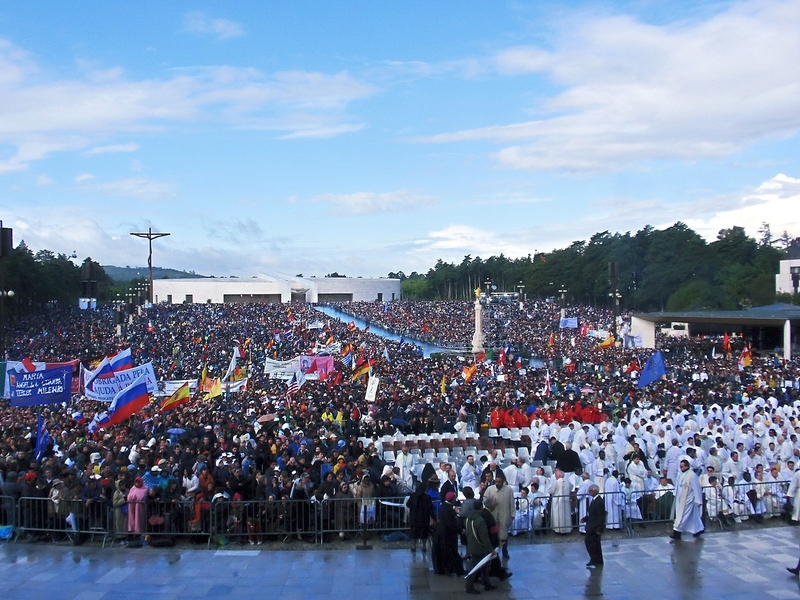 The conference is open to all Catholics, including students, religious groups, communities, doctors/ nurses and the organisers hope that many young people will feel encouraged to attend and discover for themselves the message of Fatima. Space will be limited and those interested in attending are advised to apply before the end of July in order to secure a place. Registration is free. Please open an application form attached, fill it in and email it to info@eurofinancegroup.ie or post it to The National Fatima Conference, 32 Manor Street, Dublin 7, Ireland by 31st August 2010. Happy feast day of Our Lady of Mount Carmel! May Our Lady’s protection wrap around you like a mantel of the soft feathers, gently touching your soul and bringing much joy, hope and inspiration for your vacation! 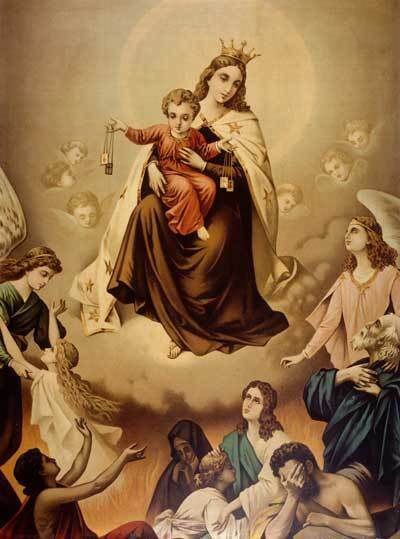 May the Most Pure Virgin, the Immaculate One, who is Our Lady intercede for all of us who are devoted to Our Lady of Mount Carmel and bring all our prayers, worries, anxieties, desires, doubts and questions to Jesus feet. On Friday 9th July, The Call to Fatima team visited St Crona’s Church, Dungloe, County Donegal. It was a special event with prayer, hymns and presentation. 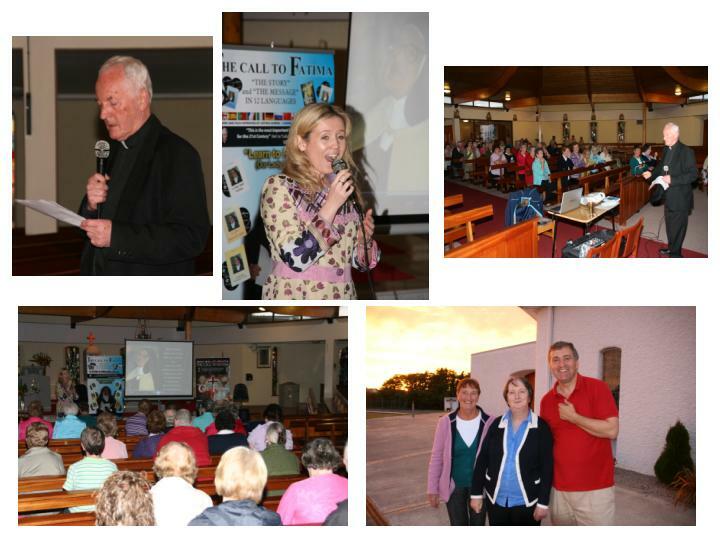 Dungloe community came together to see Our Lady’s Messages through “The Call to Fatima” film and were enrolled in the Brown Scapular by the Parish Priest Father Seámus Meehan. Soprano singer Louise Irvine was a special guest for the evening. Louise performed such a beloved Fatima hymns as Ave Maria and Farewell Fatima, along with Panis Angelicus and other beautiful and famous classical hymns. 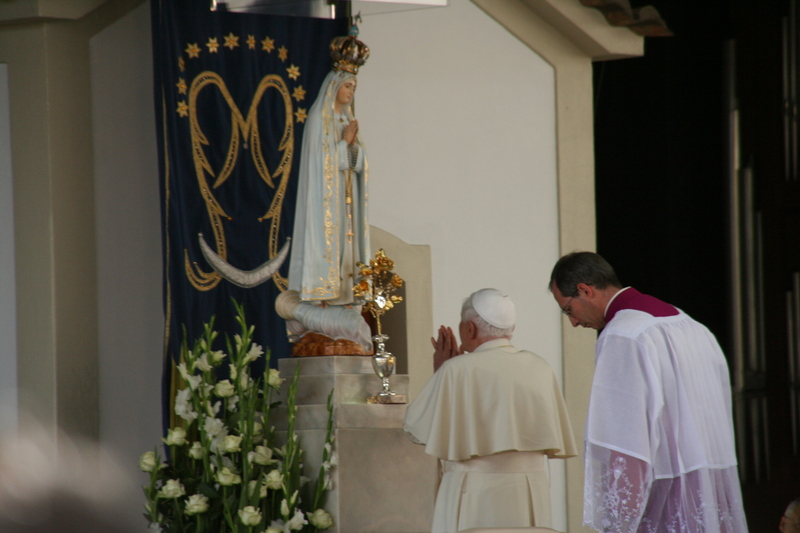 Evening started with the Rosary in honour of Our Lady of Fatima, recited in different languages for the unity of the world and for the Pope’s intentions for Ireland. 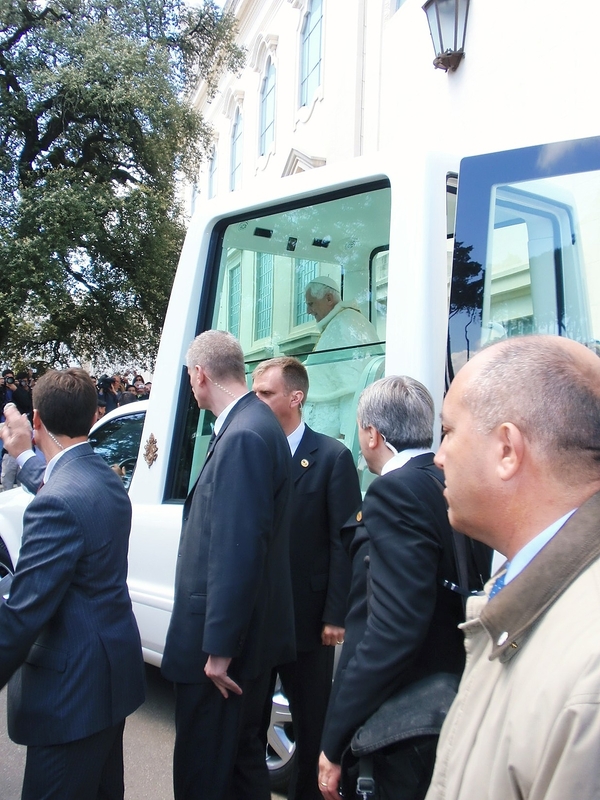 The Rosary was transmitted via local radio for the sick and elderly people who could not attend. The Call to Fatima team wants to say thanks to all who came along, and a special thanks to Fr Meehan and event organiser Mary Howley and sacristan Breege at St. Crona’s Church. 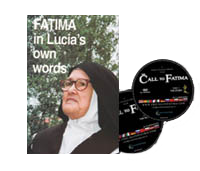 Book "Fatima in Lucia's own words"
film "The Call to Fatima"
The presentation of double award winning film titled “The Call to Fatima” will take place in St Cronas’ Church, Dungloe, Co. Donegal on Friday, 9th July at 7.30 pm. This presentation includes film clips, producers’ talk and lovely music by a special guest soprano Louise Irvine. 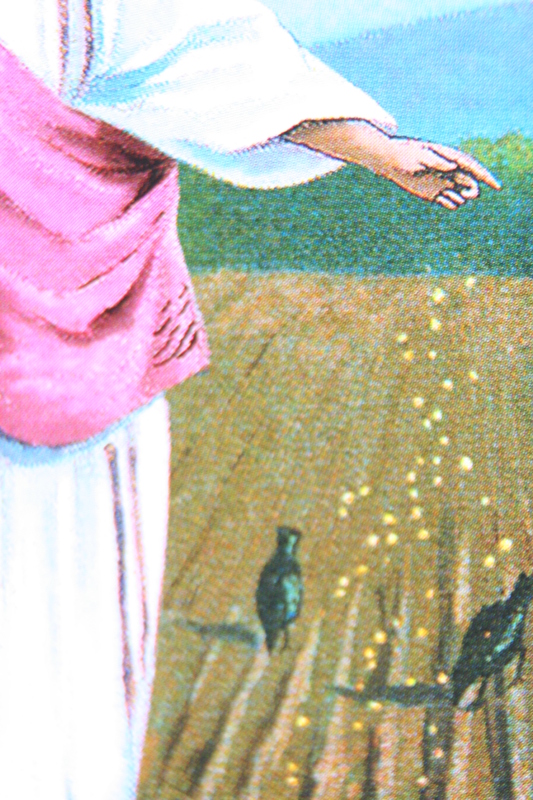 “The Call to Fatima” film is based on Sister Lucia’s writings, the last visionary of the Fatima apparitions. The film’s producer had received several requests to have it shown in different parishes around Ireland, including St Mel’s Cathedral in Longford, St Eunan’s Cathedral in Letterkenny, St Joseph’s Church in Dublin, SMA in Cork City and many more, as well as abroad. The film, which took seven years to complete, was produced by Dubliner, Thomas McCormack, and has already won awards at film festivals in Poland (“St Maximilian Kolbe” award) and Belarus (“Magnificat 2009” award) for education. 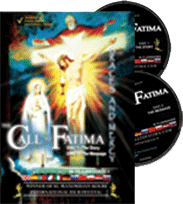 “The Call to Fatima” has two parts: the first part tells the story of apparitions, prophecies, secrets and talks about the lives and deaths of three little children- Jacinta and Francisco Marto and their cousin Lucia dos Santos. 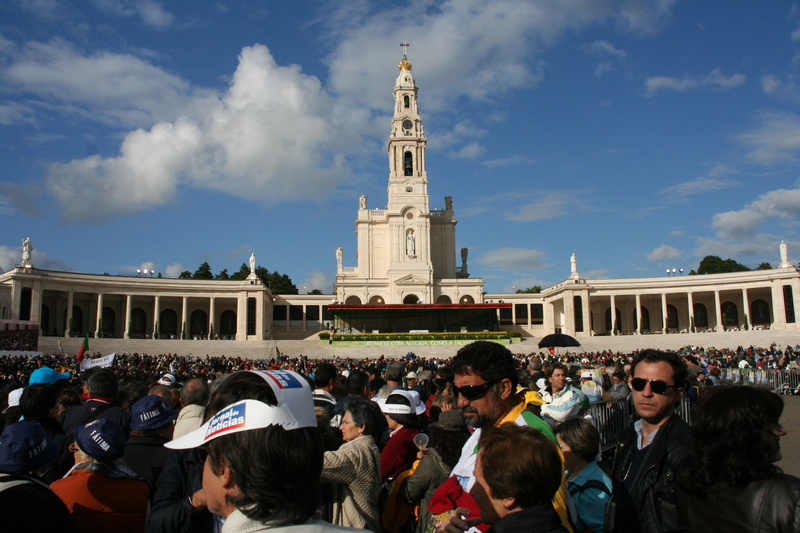 The second part gives a viewer deeper inside in understanding the meaning of Fatima Message, which is as relevant today as was back in 1917. Much of the second film was shot on location behind the Carmel monastery in Coimbra and many of the voice-overs including Sr. Lucia’s own singing voice, are from those who knew Sr Lucia personally, cousins, nephews, Carmelite nuns, her private doctor, close priests and friends. Altogether these people came to play a key part to bring this film to light.